Paneer Makhani or Paneer Makhanwala is a silken, creamy and smooth gravy with melt-in-your-mouth pieces of cottage cheese. It is a favourite for vegetarians when they order outside. Now you can make it at home and it tastes just like what you get in a restaurant. Follow my easy, step-by-step recipe and earn praise at home. 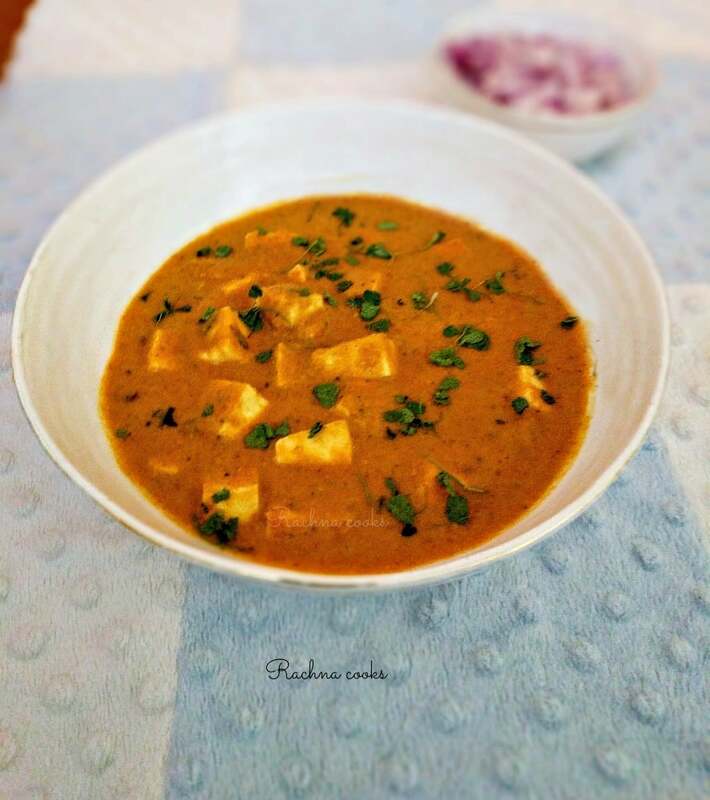 This creamy Paneer Makhani or Butter Paneer is a decadent and indulgent creamy gravy that is mildly spiced and very delicious. Serve it with rotis or rice. Add cloves, cinnamon, bay leaf and cardamom and fry for a minute. Now add chopped onions and ginger-garlic paste and fry on medium heat for about 5-7 minutes till the onions are golden brown. Add tomatoes and cashews and fry for another 8 minutes or till tomatoes are mushy. Turn off the gas and cool down. Now blend to a thick paste. Heat the pan again and pour this thick gravy into it. Stir it constantly on low heat. The gravy has the tendency to sputter so you can cover the pan half way. Continue to stir for about 10-15 minutes till the gravy becomes glossy. This shows that it is well cooked. Now add the coriander powder, garam masala, both kinds of chilly powder, sugar and salt. Add about a cup of water to make a thick gravy. Stir and taste. Adjust seasoning. Add the paneer cubes in . Don't cook for more than 2-3 minutes now. Crush kasuri methi and add to the gravy. Switch off the gas. Add a swirl of cream and mix well. This enhances the creamy texture of the gravy. Don't overcook the paneer or it becomes stringy. Just cook it a little so that it is soft and delicious. You can use this makhani gravy and substitute paneer with grilled or tandoori chicken or seafood. This is a mildly spicy gravy with a hint of sweet. If you want it spicier, adjust chilly powder as per taste. Deggi Mirch gives a beautiful red colour to the gravy. The gravy must be completely smooth so blend it well. This is a really easy and tasty paneer makhani recipe. It is high on Calories due to the use of rich ingredients hence make it an indulgence only once in a while. My family loves this recipe. Do tag #rachnacooks if you make this and share pictures. I would love to know if you tried out this easy recipe. Punjabi Rajma Masala | How to Make Rajma Curry? 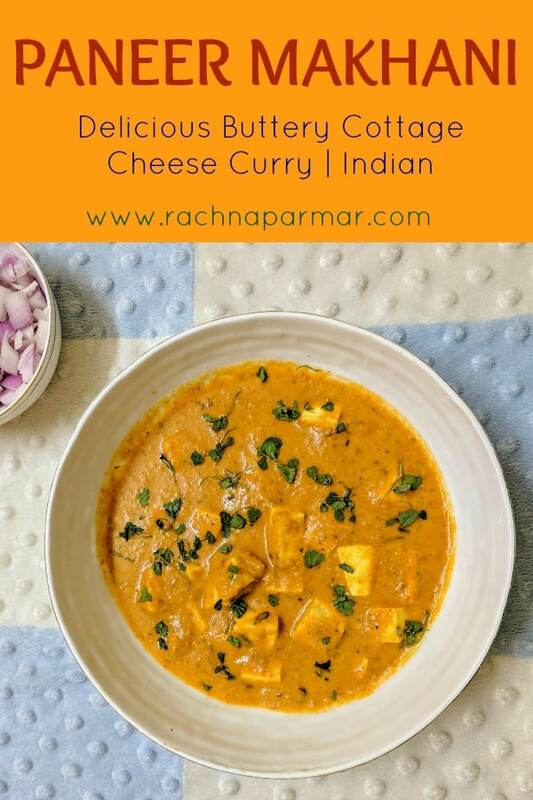 Another yummy yummy recipe.. i am trying this today for lunch.. i have a day off today yayyyyyyyyyy…..
Paneer Makhani Is my hubby’s and son’s favorite. So much thanks for sharing this recipe. Will give a try soon. Oh how nice! Hope you like the recipe. Wow ! Looks so yummy, thanks for sharing a wonderful recipe. Look at that color! So damn gorgeous! I shall try this this weekend for my husband who is a paneer lover. Now this is more like it – here’s a recipe I’m going to try. It looks absolutely delicious Rachna. Thanks for sharing. 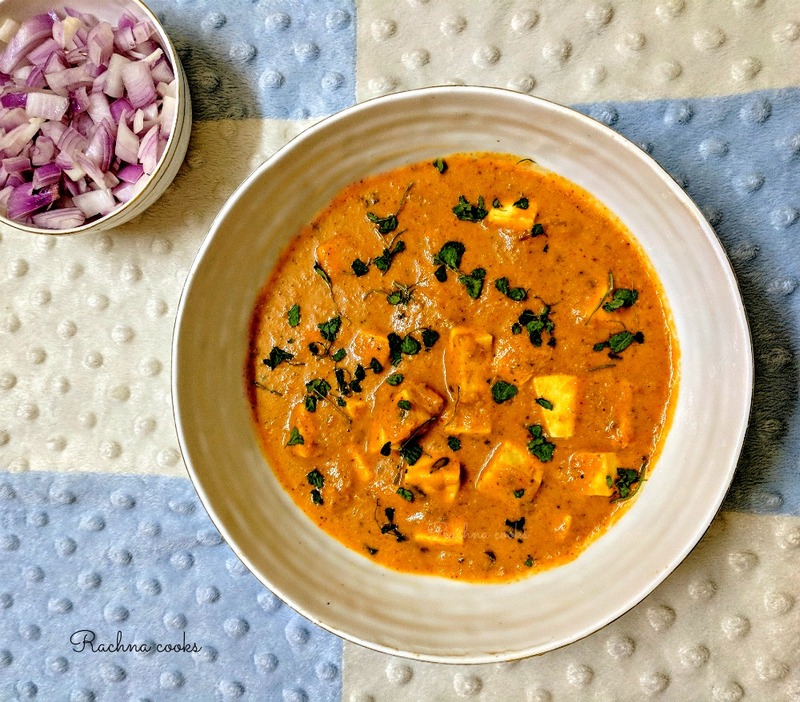 Have taken paneer makhani so many times from different restaurants that now i have became reluctant about this but my family members still love it, will share this recipe with them.